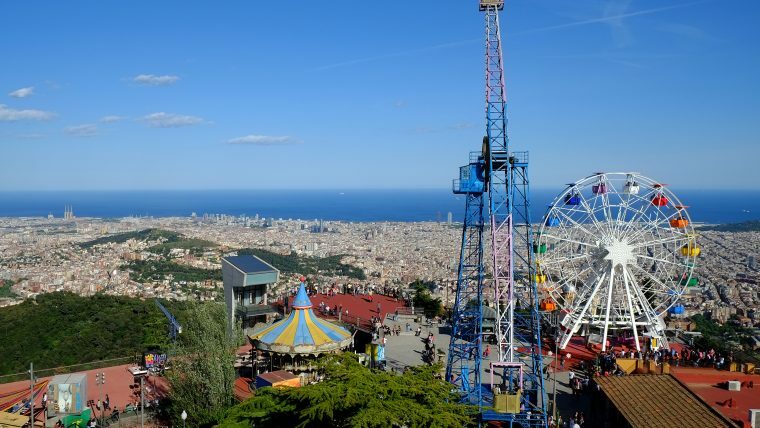 The Tibidabo Amusement Park offers a privileged view of the city as well as attractions and activities for the whole family. The Tibidabo Amusement Park is a magical and iconic venue in the city. A hundred years old, it is one of the oldest of its kind in the world. Constantly evolving, it has attractions for all ages, top-notch shows and a travelling animation that turns the attractions route into another one of the park’s shows. The park also puts a variety of services at the disposal of its visitors, such as restaurants and picnic areas. The Camí del Cel del Tibidabo, 500 metres above sea level, offers the best views of the city and on a clear day it is possible to see the peaks on the island of Mallorca. Some of the historical attractions, such as the hall of mirrors, the Talaia, the 1928 aeroplane and the Automaton Museum are already part of the city’s collective memory.